You never approved of it as a meeting point; I always found it interesting. After all, the whole city’s lovers would converge in Victoria Memorial, Nicco Park, or even the not-one-bit romance inspiring Moidan. I found my intensive coaching for the IIT entrance test to be a boon. Stealing those few minutes by the graying walls meant we weren’t thrown amid that snuggling, juvenile mass of couples in public places. For me, this secret (or was it, with the housewives peeking out of their first and second floor windows?) meeting with you every alternate evening worked perfectly. Until Baba appeared on the scene, that is. Not in my wildest dreams would I have imagined him passing by this stretch, catching a glimpse of me tapping on books, waiting for you. “What were you doing in that neighborhood?” He asked me at dinner that night. “Umm, where, Baba?” I looked as startled as I felt. “A friend lives there,” I muttered. His caustic glare didn’t escape my eyes. The son of a sugar magnate, I wasn’t supposed to step into a North Calcutta ghetto. His look scared me he would find out. He did. For three months, we didn’t talk. One evening, while trotting toward the gray walls, I saw Baba talking to some people. He had met your parents afterwards. A month later, he blessed us. At our wedding. I still love those leaking pipes lining our gray, you know. First published in The Clarity of Night “Silent Grey” short fiction contest. 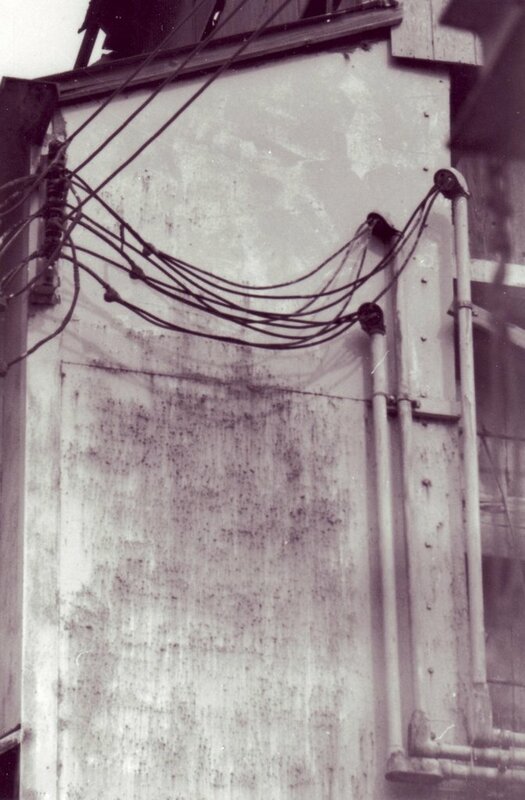 An old grungy wall, hanging wires – witness to a lasting romance. Lovely!